The Macau Knowledge Centre, City University of Macau, Macau Documentation and Information Society, with the generous support of the Macau Foundation, have organised a seminar focused on increasing cooperation for the preservation of, and access to, the documentary heritage of Macau, Goa, Timor-Leste and Malacca. The seminar took place on the 22 of November 2017 at the City University of Macau, and brought together archivists, academics, students, and Memory of the World (MoW) experts to share information and to discuss ways to develop cooperation. Approximately 50 people attended the seminar. Macau, Goa, Malacca, Timor-Leste have been linked for over 500 years through trade, colonial governments, and religious institutions. Extensive records were created from these exchanges, covering a range of topics from population data, legal matters, to culture and more. However, currently many of these collections are difficult to access and strong links between the archives are yet to be developed. In his remarks during the seminar, Mr. Horacio Marques, Director General of the National Archives of Timor-Leste, outlined the importance of addressing this issue, sharing that many collections that testify to the history of Timor-Leste only exist in Goa, Macau and other archives overseas. Gaining access to this material is vital for the county’s national identity, education, and research purposes. In the key note address, Dr Roslyn Russell, MoW expert, shared the process of developing MoW nominations, and gave examples of multi-national nominations from the region. While Mr. Andrew Henderson, Secretary General of the Memory of the World Committee for Asia and the Pacific (MOWCAP), shared an overview of MOWCAP’s work to promote regional cooperation through the programme. In her closing remarks, Dr Helen Iong, Director of the Macau Documentation and Information Society, spoke about the importance of working together to promote understanding and research opportunities across borders. Dr. Iong shared that she hoped the initial seminar could develop in to a wider cooperation between the different archives. An exhibition was held in conjunction with the seminar at the Knowledge Centre, City University of Macau. The exhibition featured material contributed from each of the participating archives and highlighted the connections between the places through correspondence files, plans and photographs, postcards, and more. 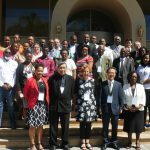 A UNESCO Memory of the World Training Workshop for the Africa Region was held in Windhoek, Namibia from 16-18 October. The workshop was organized by the Korean National Commission for UNESCO, the Cultural Heritage Administration of Korea, and the Namibia National Commission for UNESCO. The objective of the workshop was to increase awareness of the significance of documentary heritage in the Africa region and to assist countries to prepare their applications for nomination to UNESCO registers. An International Seminar on Human Rights Archives: Agents of Accountability and Justice was held in Gwangju City, Republic of Korea, in September 2017. The international seminar was jointly organised by Gwangju City, the Asia Culture Center, and the Korean National Commission for UNESCO, in cooperation with MOWCAP and the Asia Culture Institute. The purpose of the seminar was to acknowledge human rights archives as powerful agents for achieving justice, by supporting reconciliation and recovery in societies. 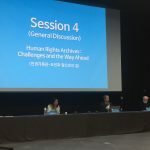 The seminar was also an opportunity to enhance cooperation and networking among human rights archivists, associations, and human rights defenders in participating countries. A second Knowledge Centre was opened on 11 July 2017. It is based in Beijing at the School of Information Resource Management, Renmin University. A Memorandum of Understanding was signed by Dean Zhang Bin; Professor Nuo Jin, Chairperson of the University Council; Li Minghua, Director General of the State Archives Adminstration of China, chair of MOWCAP and chair of the China MoW Committee; Professor Lothar Jordan chair of SCEaR; Papa Momar Diop, Memory of the World International Advisory Committee; and Zheng Suiquan,Vice- Chairperson of the University Council. Mr Li Minghua welcomed everyone to the opening. He spoke about the value of the Memory of the World Programme and noted that China had 10 items inscribed on the Memory of the World Asia and Pacific register. Professor Nuo Jin spoke about the importance of the Knowledge Centre to Renmin University and the importance of the work done by UNESCO to encourage institutions and citizens to preserve national memories. 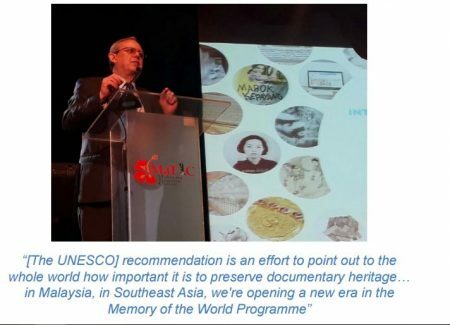 From the 7-8 June 2017 UNESCO and the Asian Film Archive cooperated to hold a two-day workshop that explored how UNESCO’s Memory of the World programme (Memory of the World Asia Pacific “MOWCAP”) can help protect and preserve Southeast Asia’s precious audiovisual heritage. 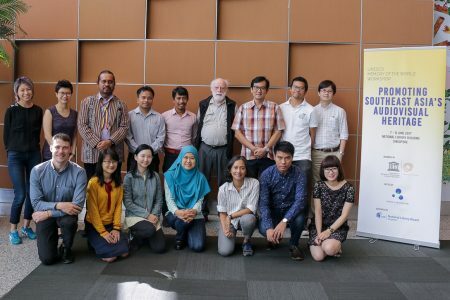 Twelve participants from ten Southeast Asian countries attended the workshop which aimed at helping in the identification of potential audiovisual heritage for nomination and assistance in the inscription process. 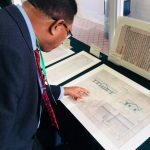 The workshop was generously supported by the National Library Board, Singapore. Myanmar’s documentary heritage is rich and diverse, ranging from ancient texts carved in stone and palm leaf manuscripts to cinema and audio-visual materials. As a developing nation, however, Myanmar faces major challenges in safeguarding this heritage and making it accessible to all. UNESCO working closely with the Myanmar National Commission for UNESCO, held a national level Memory of the World (MoW) training workshop from 4-5 May 2017. The workshop focused on increasing participants’ knowledge of and skills related to the MoW programme, particularly developing nominations to MoW registers and how the programme can bolster efforts to safeguard Myanmar’s documentary heritage through the establishment of a Memory of the World National Committee. The preservation of documentary heritage in Timor Leste has received a boost with the official launch of the National Committee of Timor Leste for Memory of the World (MOW) in early December 2016. 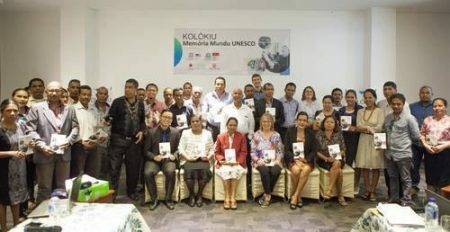 The launch event was supported by UNESCO through the Malaysia-UNESCO Cooperation Programme (MUCP) in cooperation with the Timor Leste National Commission for UNESCO and the State Secretariat for Art and Culture of Timor Leste and included a two-day capacity building workshop with local stakeholders on 1 and 2 December. More news on this development is available here. A project to Safeguard the Documentary Heritage of Myanmar through the UNESCO Memory of the World (MOW) Programme has begun. The project will be completed with Myanmar during 2017 and will include a series of national level training workshops on developing nominations to the Memory of the World registers, a national survey of documentary heritage, as well as a publication and accompanying exhibition on the country’s rich documentary heritage. Read more about this project on the UNESCO Bangkok website.